In term of financial performance, during the year 2016 the growth of Adhi Beton remains solid. According to PT Adhi Karya (Persero) Tbk Financial Report 2016 as cited by JobsCDC.com, Adhi Beton managed to record total assets of Rp 473.97 billlion in 2016. This number is 23.42% up from Rp 384.00 billion in 2015. 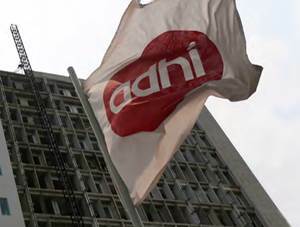 Referring to its financial report, Adhi Beton booked total revenue of Rp 1,332.83 billion in 2016 as compared with Rp 149.01 billion in the previous year. Education background in SMK / D3 / D4 / S1 in Industrial Mechanical Engineering. Minimum 5 years of experience in Industrial Machinery Maintenance for SMK. For University Graduate minimum accreditation A. Willing to be placed throughout the Company Region. Willing to work with target, quality, and time strictly. JobsCDC.com now available on android device. Download now on Google Play here. Please be aware of recruitment fraud. The entire stage of this selection process is free of charge. PT Adhi Persada Beton - Maintenance and Equipment Mgr ADHI Group June 2018 will never ask for fees or upfront payments for any purposes during the recruitment process such as transportation and accommodation.